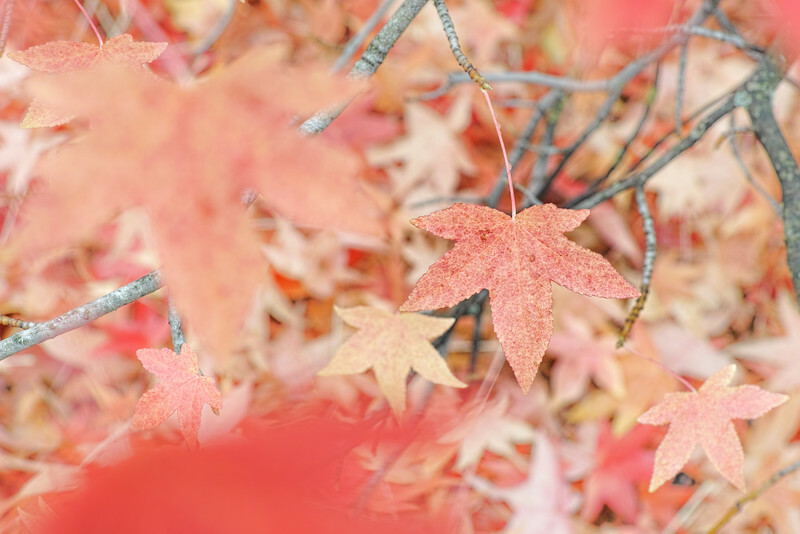 A melange of red and yellow maple leaves - photographed at the same place as last week's composition. I tried to compose the frame with leaf shapes in the fore and background, while only one leaf is sharp and the "center of attraction" for the eye. Have a nice Sunday (so far it is grey and cold here in Zurich)!